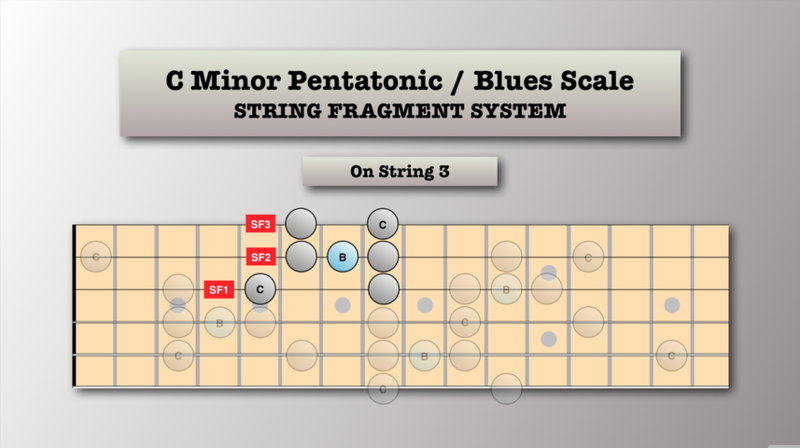 In this clip from SFS Pentatonics - Pentatonics Everywhere!, we look at how we can use a seemingly limited system of just 3 string fragments, to move through every fretboard area, instead of being limited to a single box position. 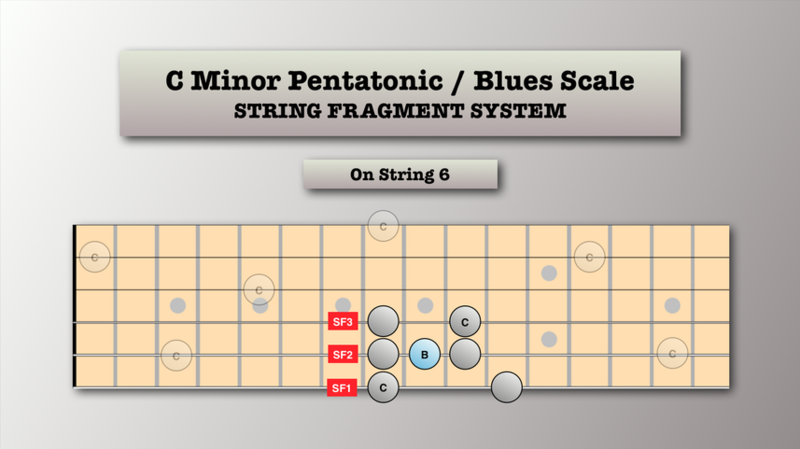 This is the general idea behind SFS: Learn a system of String Fragments, and place it everywhere on the fretboard, based on the Root Note of the scale. The system is very flexible: you can play with just 1,2,3,4 or all 5 String Fragments, covering increasingly more area on the fretboard, but you will travel through all positions, even with just 1 SF! 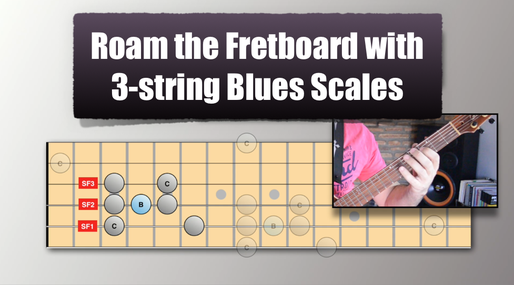 In this example, we will play the Minor Blues scale using 3 SF’s (from a total of 5) based on the Root note “C”. In this case, SF3 is shifted to the right. We’ll talk more about this in lesson 3. 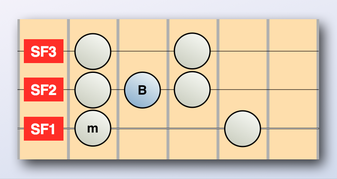 For now, just keep this in mind: When crossing from string 3 to string 2, the SFS shifts UP one fret. In this case, there is no SF3 (we run out of strings). 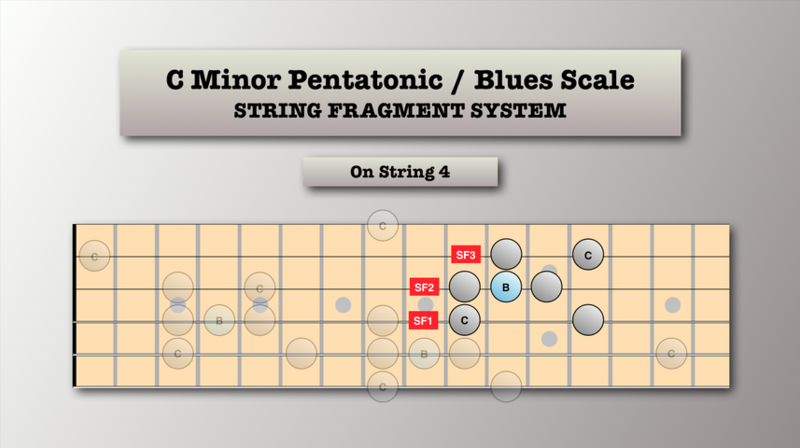 SF1 and SF2 are normally aligned (no shifting) because they do not cross between strings 3 and 2. This obviously covers just one string. Now look at the all the dimmed notes on the diagram. 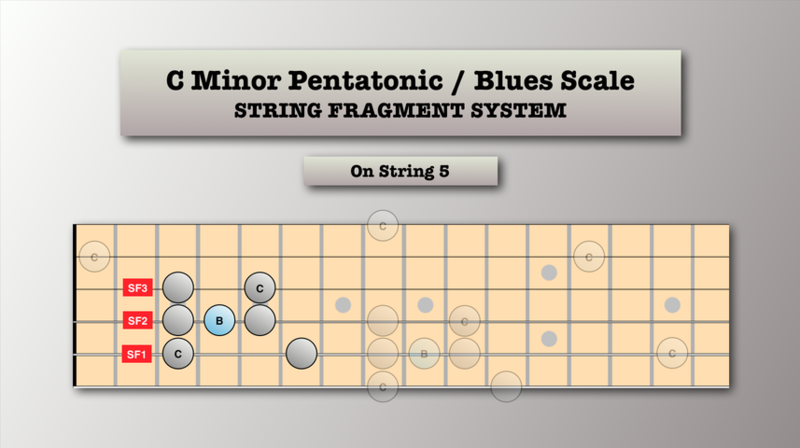 By using just 3 String Fragments, we have already travelled all positions on the fretboard and covered the most part of all the traditional, “box” fingerings, without ever memorizing them. With SFS, we are literally thinking “out of the box”.